These drums have fixed top and bottom with two closures of 2” and ¾”. Body is electrical resistance welded and ends are double /triple seamed as per customer requirements. They are usually used for filling liquids and semi-liquids. We offer Tight Head Drums right from 0.80mm thickness to 1.63mm thickness. They are also available on combination of various steel thickness. We can provide drums with UN Certification of any category. Drums are manufactured from the highest quality CRCA steel at the most modern plants. Drums are subjected to Helium Leak Detection to ensure they are100% leak proof. Special high quality paints are used for a good quality finish for the drums. High quality customized screen printing is also available to create customer branding. Triple seam in the drums give extra strength. Inclusive transportation for minimum 200 nos. with continuous track of supply. 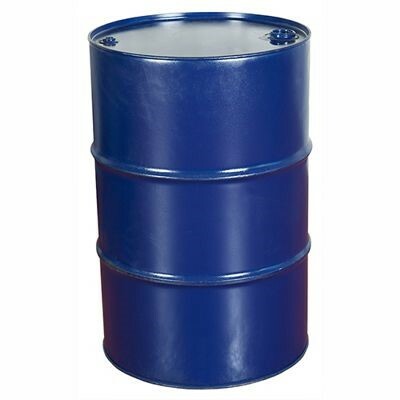 Internally cleaned drums for chemical companies and other segments. Balmer Lawrie procures all the raw materials including steel, seaming compounds, closure and paint from reputed suppliers. Provision of UN Certification for hazardous products. Gaskets are offered depending on product compatibility. Provision of tag-rings and cap-seals allows increased pilfer-proofness. Drums are wrapped with corrugated paper/stretch wrap/bubble wrap to avoid transit damage. Product Specifications and diagram: Click here.